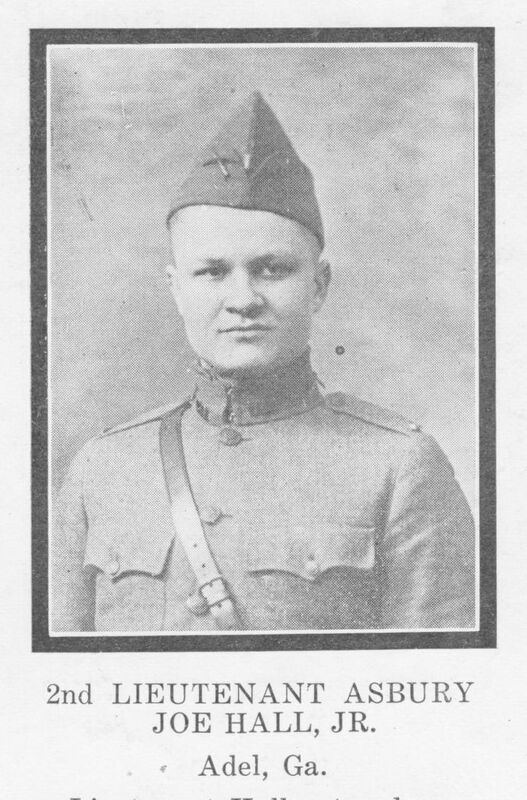 2nd LIEUTENANT ASBURY JOE HALL, JR. Lieutenant Hall entered service from Cook County; formerly resided in Emanuel County. Was attached to Company “H,” 3rd Infantry. Embarked for over-sea service in the front line, during which time he was gassed once and wounded twice, he was killed by a fragment of shell September 13, 1918.